Netbooks were cheaper, more portable and smaller than regular laptops. All major computer manufacturers developed netbooks but they failed to take off. Let’s examine why it happened. On January 1 2013 Asus and Acer announced that they are going to discontinue their netbook models. With this, the netbook seems destined to be one of those oddities of technological history that enjoys a brief blazing moment in the sun before being rapidly overtaken and neglected. Perhaps in the next few years, people will look at the netbook in much the same way as we now look at the mini disc player, with that same mix of curiosity and begrudging admiration for a stepping stone on the path of technological development. It seems amazing to think that it was only five years ago that the tech world was buzzing about the netbook, the cheap, fast, lightweight and ultra-portable laptop that would transform our working lives. The cheap part of that equation was quickly eliminated though, with the early models running Linux rapidly replaced by more advanced models running Windows, increasing the cost to the manufacturers. This change dramatically impacted manufacturers’ profit margins and made producing low cost, low spec laptops less of a priority, particularly as it was thought that the booming sales of netbooks were hurting sales of more expensive models, as the difference between laptop and netbook became increasingly blurred. Netbooks had their moment of glory. Then they failed and disappeared. Moreover, manufacturers like Acer, Asus, Samsung, and Lenovo began to focus their attention on producing ultrabooks rather than netbooks, seeing the future of the laptop in ultrabooks. These new ultrabooks are increasingly appealing to a new generation of consumers who are unwilling to sacrifice technological power for ultra-light portability. Ultrabooks are becoming more popular with business people who want a light yet powerful computer when they travel for work, and ultrabooks like the Lenovo Ideapad are providing HD displays and cinematic sound systems that are perfect for all consumers. 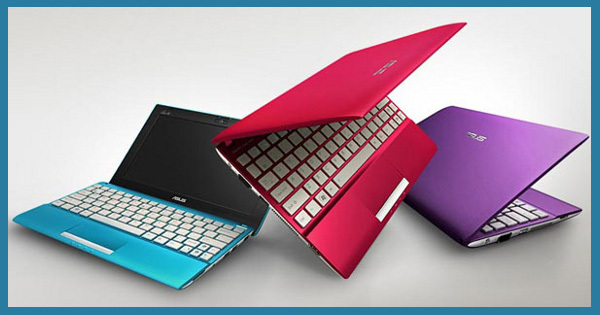 Netbooks now have become an afterthought, appealing only to a niche consumer base. The global economy also did not help the netbook, with the financial crisis hitting just as it began to establish a foothold in the market and substantially reducing sales of a device that was always seen by many consumers as an indulgence to be used alongside their main computer. Once the economy recovered, the technological landscape had changed to such an extent that the netbook was seen as outdated and surpassed. A large part of this change was the 2010 launch of the iPad, a launch which, coupled with the slew of other tablets that quickly attempted to match its success, heralded a new global obsession with tablets. These new mobile devices, by eschewing features that were previously thought to be indispensable to a computer, offered the sort of portability that netbooks could never hope to match, while still delivering high performance and advanced features. This tablet obsession has only become stronger since 2010. Once a generation of consumers had fallen in love with touchscreens and saw virtual keyboards as the norm, there was no way back for the humble netbook, a device out of time and out of luck. Good article. :) Had netbooks stayed on linux and had linux been more widely accepted they might have done better I feel. I really think with such low specs they were never designed to run windows. I run linux puppy on my netbook and its fast and responsive. If people can find so many useful things to do with rasberry pi damn sure you can find a lot of good uses for a netbook (as well as general purpose use).